Homemade fertilizers can be categorized under organic fertilizers since you are going to be the one making it and of course you will be using all natural ingredients ranging from whatever it is you find at your home to recycling your biodegradable wastes. Homemade fertilizers are very cost effective and that is one of the reasons why people make them instead of buying fertilizers from gardening shops. Some organic fertilizers are expensive. However the ingredients in making them surprisingly are not. By making them on your own, you actually save a lot since you only have to pay for the ingredients that some of which you can find at home for free. When making a fertilizer, it is best to whip up a fertilizer that is all purpose. In that way, it is appropriate for different plant types. 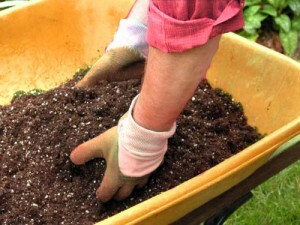 Here is a homemade fertilizer recipe that can be used for a variety of plants. • 3 parts seed – A seed meal is used to give nutrients like nitrogen, phosphorus and potassium to growing plants. Some sources of seed meal are cottonseed, alfalfa and canola. • 1 part blood meal – A blood meals contains much of the same basic nutrients that the seed meal has. However, it is a good source of calcium as well. • 1 part dolomite/calcite lime mixture – The lime is like a neutralizing ingredient that fights against the acidity of the blood and seed meals. However, using the lime is not necessary if the soils are alkaline instead of being acidic. To best deal with pH issues of the soil just call the local agrarian agency and they will help you sort it all out. • One half part bone meal – A bone meal has an abundant supply of phosphorus. • One half part kelp meal – A kelp meal is another source of nutrients for the plants. However, this contains potassium more than any other nutrients. • One third part of diatomaceous earth – This will help ward of pests from your plants. There are formulations that are specially made for garden and plant use and take note to get that one because you might pick up the one used for pool cleaning. The ingredients here are not measure by weight instead they are measured by volume. The ingredients are mixed according to their proportions in the mixture. The process of turning all that ingredients into homemade fertilizer is quite simple. Just gather all the needed ingredients and the tools to be used as well. Mix them all up in a large bin and allow it to sit for a day or two. However, if it is your first time to make a homemade fertilizer, it is best to try making that combination in small amounts first so it is easier to make adjustments later when mixing up a big batch. Organic fertilizers are ecologically safe and sound and you even get to make them on your own too. That really saves a lot from your gardening expenses.